Fernando Dantas Campello, born in 1978, in Porto Alegre - Brazil. I have been sailing real size boats since 1990, from Optimist to 420, and nowadays Ocean Racing and Laser classes. 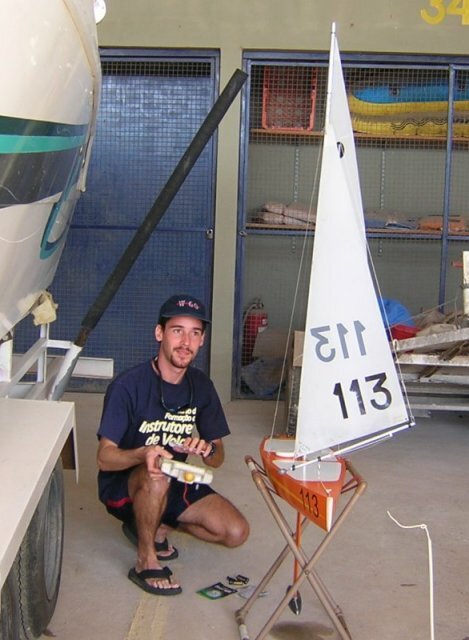 However, I had never raced an RC sailboat until 2004, when I bought a ULY 1M and started to go to the racing course. Since then, I've been racing IOM and ULY 1M in regional and national levels. I'm an oceanographer and I like everything related to the sea. I'm currently living in Brasília, central Brazil and sailing at Paranoá lake.